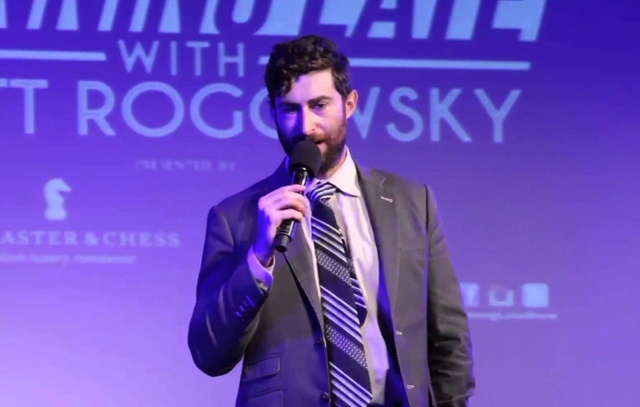 Scott Rogowsky returns to discuss comedy and his upcoming re-booted live show, Running Late with Scott Rogowsky. He will be hosting an upcoming show at Brooklyn's Union Hall on Monday, April 11th at 8 PM. Guests include Lisa Ann, actor John Gallagher, Jr., podcasters Corinne Fisher & Krystyna Hutchinson (Guys We F***ked) and more.